Racil's and my parents were friends from the day we were born, so she is really my sister from another mother rather than my closest friend. We grew up in Paris together, but both moved to different cities for our college years. Racil went to study London, and I moved to New York. 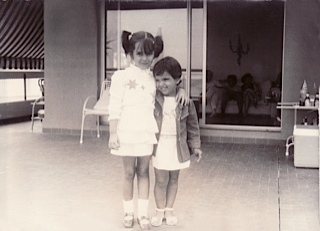 After we both finished our degrees, we felt the need to live in Beirut. Our families were there, and somehow it felt right to move to the Middle East. 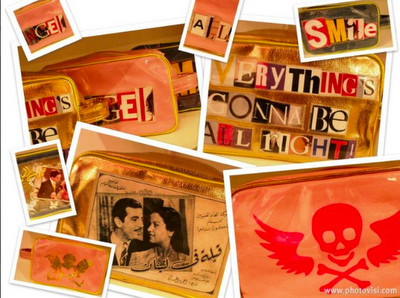 Once in Beirut, we realized there was a lack of things we loved in the city, so we decided to combine our passions. Racil studied fashion and always liked yummy food, and I studied real estate development but dreamed of being a chef from a very young age. This is how Kitsch Concept was born. A boutique, cafe and bakery set in an old Lebanese house. It's a place where you can shop for the latest trends, grab the funkiest knick knacks, sip the best cappuccino in town while munching on a scrumptious bake. Racil takes care of the fashion, and I'm responsible for the food. She is the buyer, and I am the chef. We didn't get a franchise, or hired a professional to do the work; we wanted to make this as personal as possible. From the kind of mugs we served coffees in, to selling bio cosmetics we used at home. Racil sources upcoming designers for the store, and I don't use raisins in our cake recipes because we both do not like raisins in cakes. So after putting all that love into the store for 2 1/2 years, we set our sights on Dubai to launch a bakery specialized in our best selling item in the bakery, the cupcake. 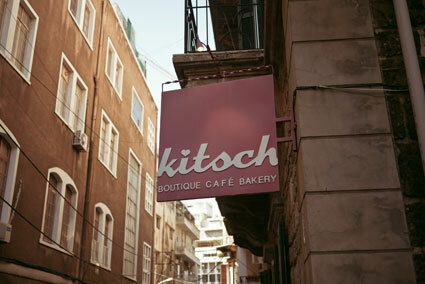 And that is how Kitsch Cupcakes, the first specialty bakery, was born in Dubai in 2008. After expanding a few more stores in Dubai and Abu Dhabi, opening our latest branch in the Kingdom of Saudi Arabia puts a huge smile on my face. We have definitely come a long way. 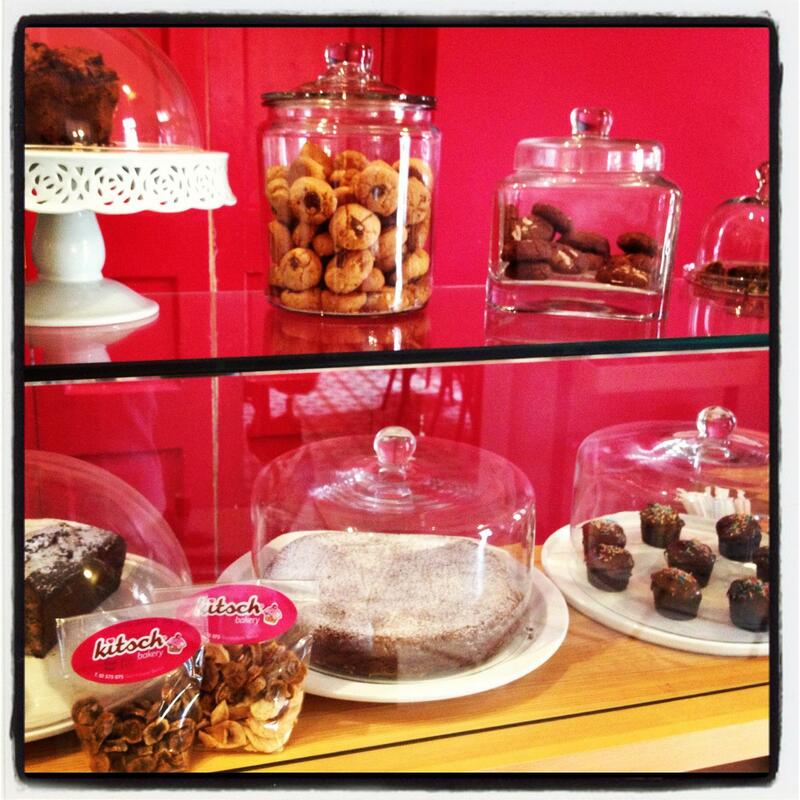 Today there are many different bakeshops. But being the first two ladies to open such a concept in the Middle East back then was not as accepted as it is today. Everyone kept smirking at us saying that it would not work in this part of the world, or think that we were just two girls having fun. "This is not New York or London, these concepts don't work in the Middle East." Surely, Racil and I have proven people wrong, and that alone makes it feel like we have achieved something. Now looking back at almost seven years in this business, I realize how much it has affected my personal life. 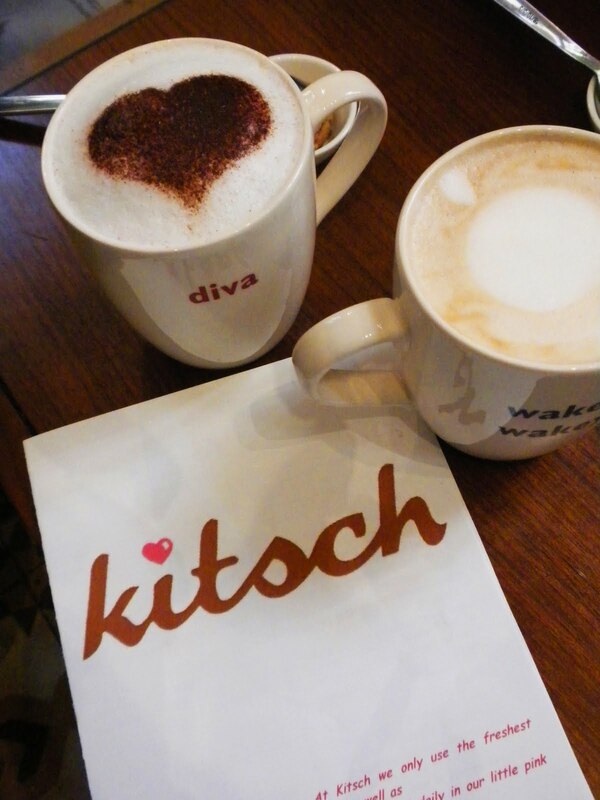 I have met such wonderful people thanks to Kitsch, from dear and loyal customers, to our amazing marketing team (Mastermind Communications), to fit out contractors (Davies) and kind suppliers. The lovely people in the media like Harper's Bazaar Arabia, BBC Good Food ME and Ahlan. I have also made a dear friend from another bakery, the wonderful Farah from Sweet Stuff. Of course, running a bakery is not as rosy as people may think. It's a business after all and can be really, really tough. Just managing day to day operations, and trying to shut off to enjoy your personal life can be tricky. And yes, as much as I love what I do, I've had many unpleasant experiences. From unethical business behaviors, like suppliers being paid but never delivering the goods, or odd instances which put us in hell's kitchen (literally), rude customers, or even loosing a friend over work/personal related matters. But I guess this somehow comes with all this, and life in general. I have embraced it and learned so much, and it has made me a tougher cookie today. As I mention once in a while, this blog has become my online journal, and sometimes I actually get quite emotional writing my posts. Usually when it involves my family, friends and loved ones. Today it's about another love of mine, Kitsch. It’s funny to think back at how all this came about. Racil and I decided over a yummy salad that we wanted to create a business that was unique, the first of its kind. We brainstormed and came up with the name kitsch. Many have asked why kitsch? There are plenty of definitions, it's originally a German word but has derived from its real meaning in common language. But I found the most fitting definition on the Urban Dictionary "Sentimentally charming, tacky and fun all rolled up in one. One catch with kitsch is that you're never quite sure if it's supposed to be serious or not. It's that uncertainty that is amusing." Our motto at Kitsch is "Life is uncertain, eat cake first". And I never really give it much thought. But today, on my last night in Riyadh, I have realized that I actually do eat cake first. Life is just too precious to waste time. So when someone doesn't take you seriously, but you have a vision of something unique, go for it. It's better to fall flat on your face, then to never have given something a chance in the first place. People like you have always inspired me.. i highly admire people who are passionate and ambitious.. this is what turns an idea into a success.. keep it up!